In the latest development in the "largest college admissions scam uncovered in U.S. history," on Monday afternoon actress Felicity Huffman and 13 others agreed to plead guilty in the scandal, signaling that prosecutors are aggressively wresting deals from the wealthy parents, according to Bloomberg. The 14 are among 50 people accused by Boston federal prosecutors of engaging in schemes that involved cheating on college entrance exams and paying $25 million in bribes to secure their children admission at well-known universities. Federal prosecutors announced the deals on Monday afternoon, identifying the parents and a University of Texas men’s tennis coach who have negotiated plea bargains. 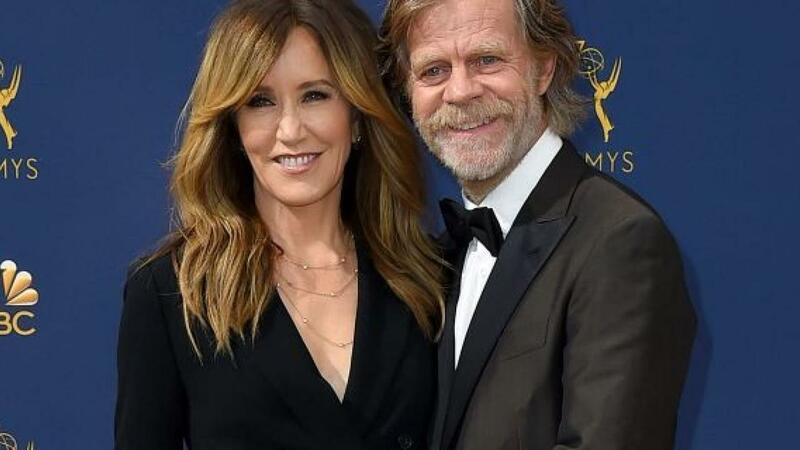 Huffman, who starred in “Desperate Housewives,” was among 33 parents charged in March with participating in the scheme in hopes of getting their children into universities including Yale, Georgetown and the University of Southern California. Prosecutors dubbed it the "largest college admissions scandal the U.S. has ever prosecuted." She wasn't alone: "No words can express how profoundly sorry we are for what we have done,” two of the parents, Bruce and Davina Isacksons, said in a statement on Monday. “Our duty as parents was to set a good example for our children and instead we have harmed and embarrassed them.” They added that they have also let down their “entire community” and said they have cooperated with prosecutors and would continue to do so. Also last Friday, Gordon Caplan, the former co-chair of Willkie Farr & Gallagher and one of the highest-profile parents in the scandal, also said he would admit his guilt. Yet while the rich and famous taking advantage of their wealth to get further ahead in life - or help their children to do so - is hardly surprising, what is most bizarre about this entire fiasco is that some still believe that high school students are still admitted to college purely on their merits, which is quite delightful in a time when Harvard has an entire division dedicated to children of (corrupt) world's leaders and hedge fund managers, politicians and public figures donate tens of millions of dollars to their alma maters not for some giant vanity project, but to extract benefits in exchange for their "donations." Meanwhile, as the US judicial system is preoccupied with a bunch of B-grade movie stars, far greater crimes take place every day on Wall Street, Washington and, of course, the Marriner Eccles building, and will continue to do so without any DOJ intervention, until one day a revolution finally does break as the population demands real justice for everyone.